All the best to you all for the New Year - All of it, and may your little car dreams come true. Here is a display that I updated in December and hoped to post then. the significant cars raced over a span of more than 100 years. The rt. side is a bit more modern with representatives through 2009. 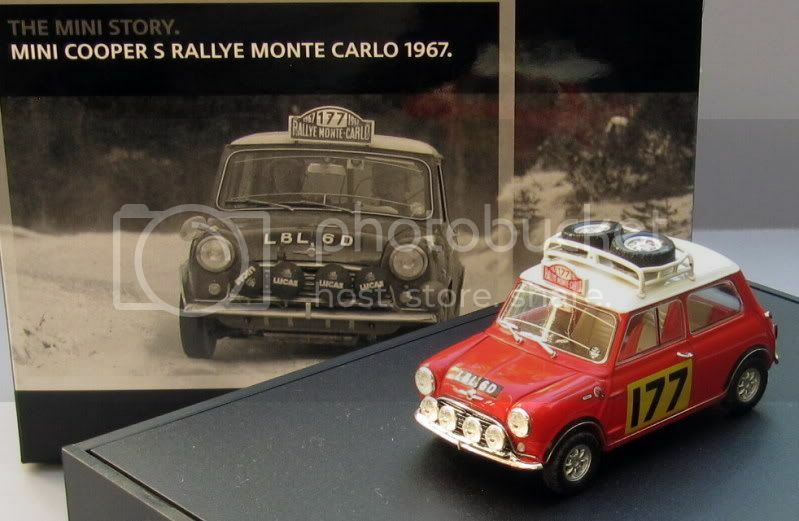 1964 Paddy Hopkirk Mini which would then become my new favorite. That's a fantastic display, as usual! You have done it again, Steve. 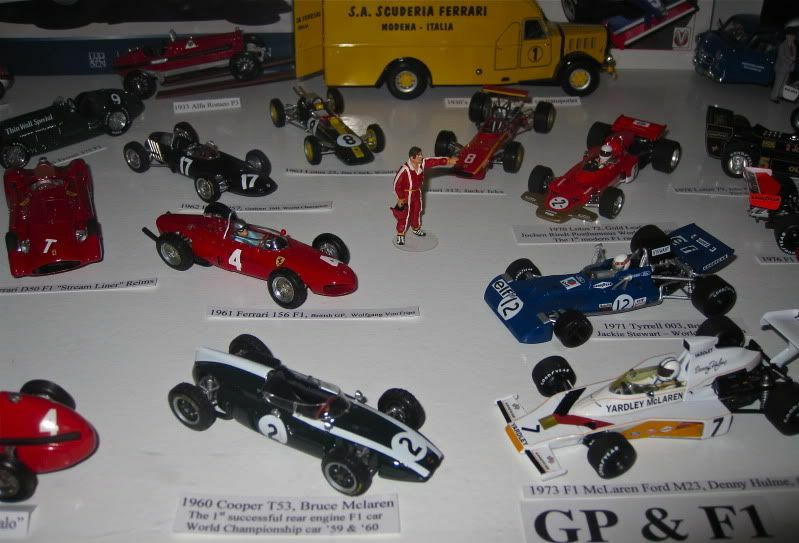 Not only showing us cars that I did not know were done in scale but showing them artfully. Steve, outstanding viewing yet again. 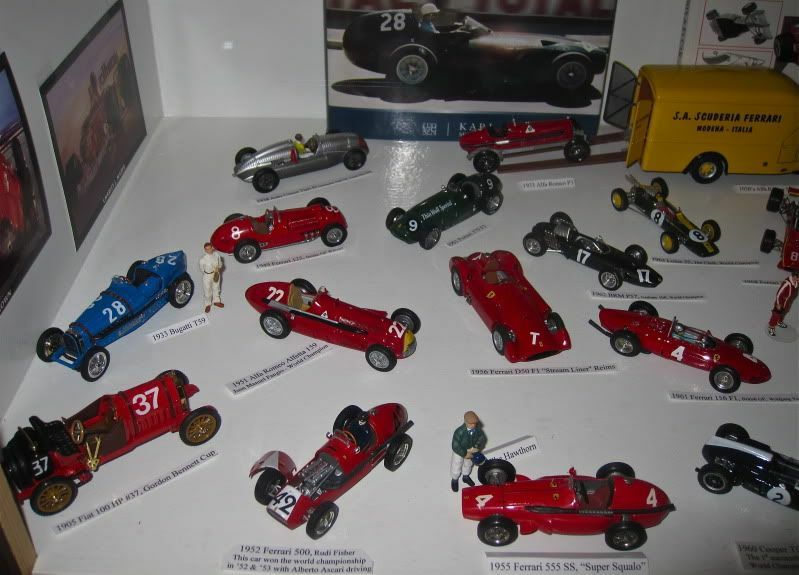 For all the emphasis on more modern racers in my own collection, I love the stuff right through from the '30s. 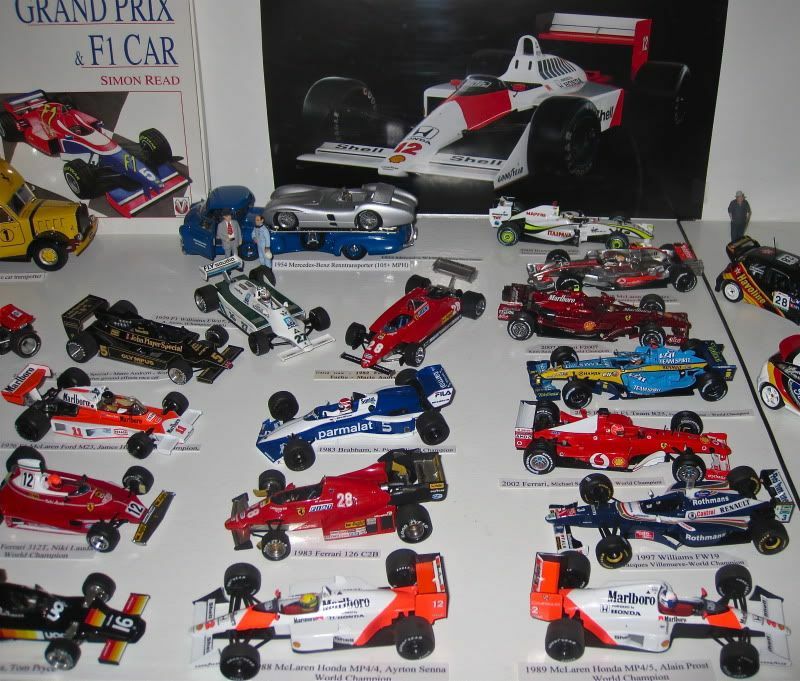 I would be on a slippery slope if someone were to produce some good value modern diecast of those classic GP cars - would love things like the Bugatti and Alfetta. I also realise how lucky I've been to have seen so many of those cars in real life. 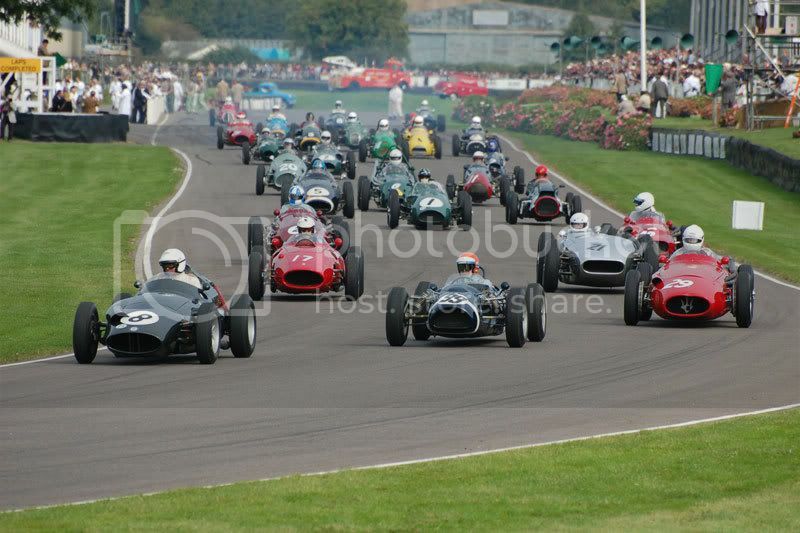 I can match many of them against an identical or very similar car in my photo collection. I think that has a lot to do with why I would find models of them so desirable. Andy - Do you have a specific 1/43 Quattro to recommend? 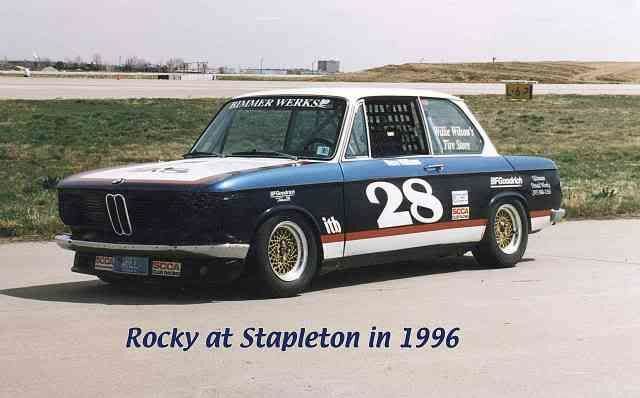 Dave - You are very fortunate to have seen many of these cars "for real", by any chance did you see them actually racing? Doubly fortunate then. Living in the middle of the USA makes it very inconvenient to get to a race where the big boys are running. stewil wrote: Andy - Do you have a specific 1/43 Quattro to recommend? 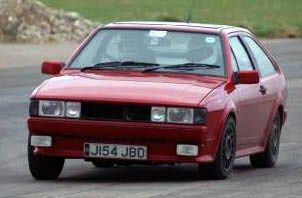 Now that's a can of worms - if you wish to represent Audi introducing 4wd to rallying then an early car from say the Monte Carlo 1981 would do it. If you wanted to represent Group B then something from 1983/4 and then of course there are the SWB Sport Quattros which culminated in the 1987 Pikes Peak car. 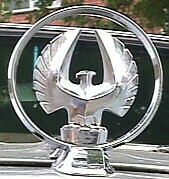 stewil wrote: Dave - You are very fortunate to have seen many of these cars "for real", by any chance did you see them actually racing? Doubly fortunate then. Steve, I have seen many of them running for demonstration purposes, and some racing as well. I don't know how many individual cars I could pick out, but here is an overall shot to give a flavour. It's more difficult to see racing of F1 machinery from about the '70s onwards, but there are 'masters' championships that cater for them. Dave - Thanks for the photo, recognized many of the cars in it but will probably never really hear their bark. 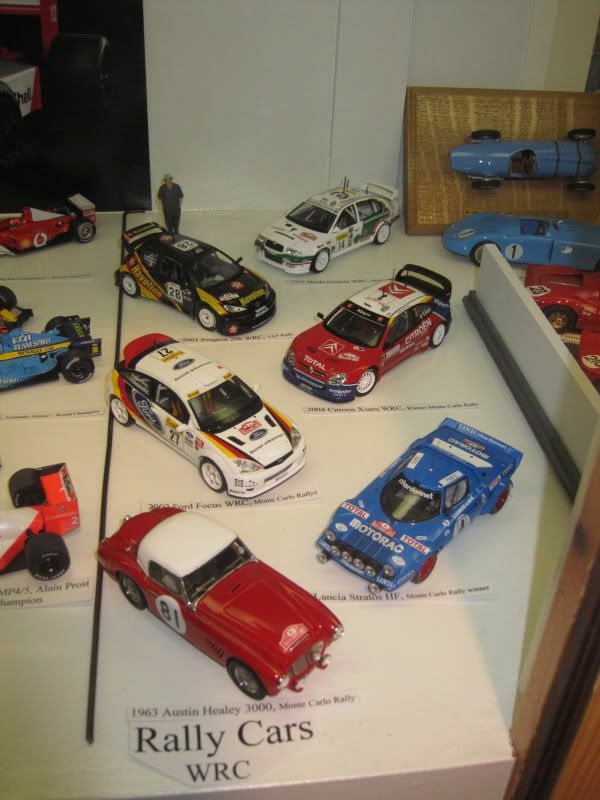 Andy - I have the '87 Pikes Peak car displayed elsewhere with the Peugeot 205 Pikes Peaker, and thanks for the mfgs suggestions. and it's nature is changing as more and more of the surface is paved. Just ordered this Grp 4 HPI set and will be redoing my Rally display including the Audi and the Peugeot. Much appreciate your question that got me going. A superb HPI Diecast H.Toivonen Memorial set of two 1/43 "Martini" Lancia Delta S4s, that won the Monte Carlo Rally of 1986 (car #7), & raced in the Tour de Corse of the same year (car #4), driven on both occasions by H.Toivonen & S.Cresto. The detail on these model is stunning. All glazing is flush, & panel lines & applied decoration is extra fine. The set, HPI No. 8036, is one of a Limited Edition of only 1560 produced, & is presented on a display plinth with a clear display case, & card sleeve. Will post photos when I get this display redone. Used the following web site to learn more about Group 4 rally cars - WOW!!!! http://groupb.stormloader.com/index.html Loved reading the history section especially. Wow, a display I can only dream of ..... very impressive. Hi stewil. I haven't see Paddy Hopkirk, but would 1967 Rauno Aaltonen work? Let me know. I may be able to help. P.S. You have a great collection there. to see because I am on my way to Africa in a couple of days and mail delivery stops after tomorrow. Hopefully it will be waiting for me in three weeks when I pick up the mail. Am planning on redoing the display and will post photos with the Hopkirk Mini and a couple of Group B rally cars I am planning to add too thanks to Andy. BTW - Can you imagine the excitement of a young guy in America who drove a '60 Austin 850, and whose friends drag raced big American iron from stoplight to stoplight, and who also laughed at my little car with only 37 HP, HOWEVER - their cars never won the Monte Carlo Rally in 1964 and that gave me a great pleasure. 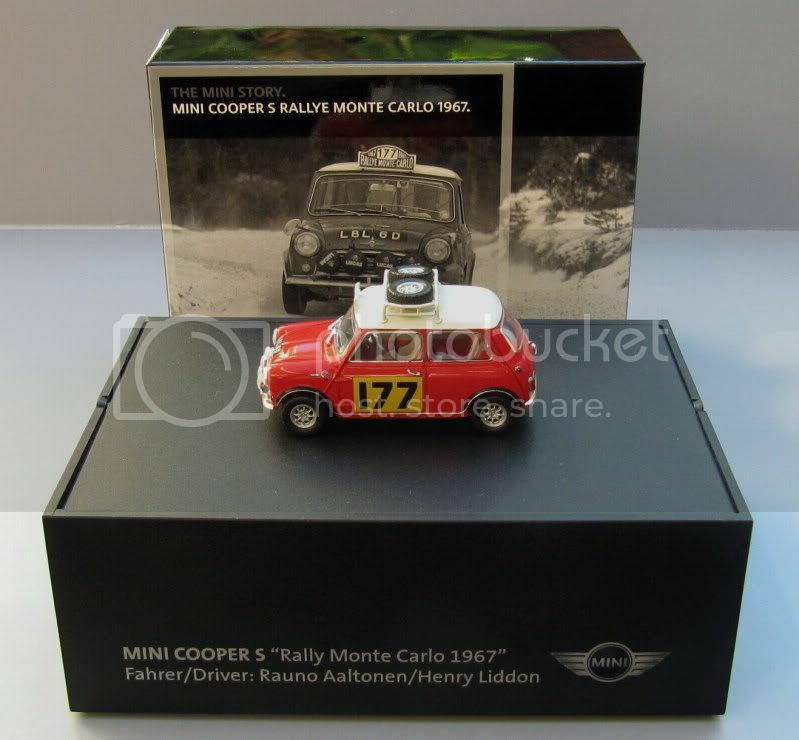 PS Who made the 1967 Rauno Aaltonen model with the great box saying "The Mini Story"? Now that is cool. Minichamps? 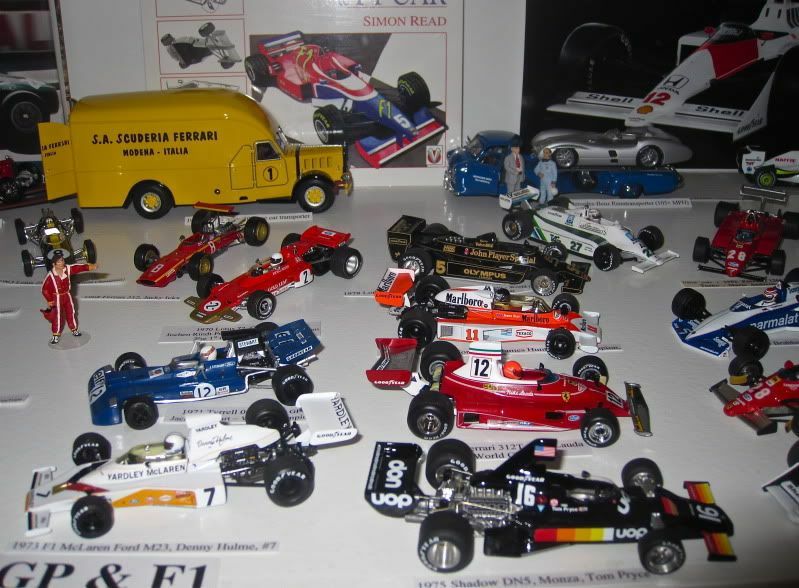 It is a dealer edition and it is made by Minichamps. you can buy it at any decent Mini dealer.